* Dealer: John Darvish Sr.
* Vice President Tamara Darvish on showing employees that they are valued: "Appreciation is shown in many ways, including all-associate picnics, in-dealership random cookouts and other events that may also include their family members. Tickets to many local sporting and concert events are also made available to employees. "Personal development and formal training is another way to grow our employees to learn more and earn more. 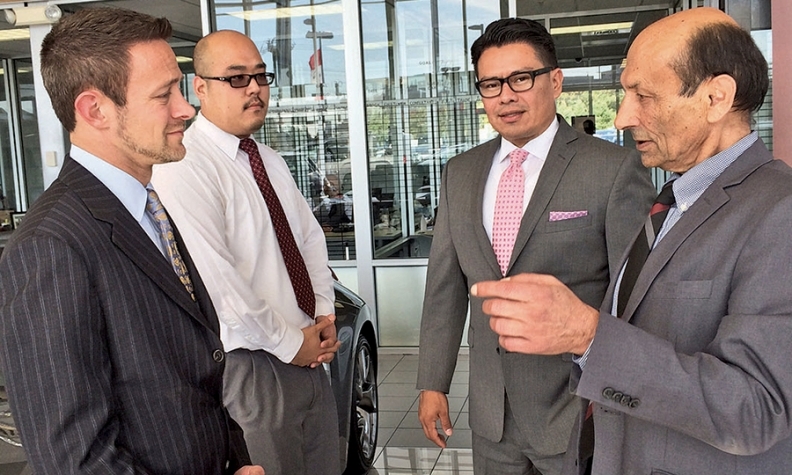 "Many efforts are now being made to cross-train many employees in certain roles throughout the dealership. We are also providing more support personnel to assist team members to accomplish their daily tasks. A majority of promotions are made from within, so advancement opportunities are often available." * Tamara Darvish on a change in response to staff requests: "The biggest change we have made in the past year has been with our scheduling of employees, primarily in the sales departments, to reduce the number of hours they work. We were able to better load-schedule and add a few positions by addressing these requests.